Pleasant and challenging nose with coconut, litlle buttery, cinnamon, vanilla, apple pie, rubber and a light oak. Pretty light taste with a very small pepper, biscuits, apple pie, oak, cinnamon, vanilla and in the distance some liquorice and clove. Finish, unfortunately quite short but warm with some oak, rubber and vanilla. 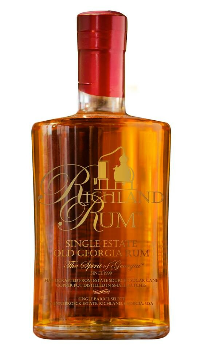 Put some Richland Single Estate Rum in a sniffer and let it rest, so that the great aroma's come free in the glass.